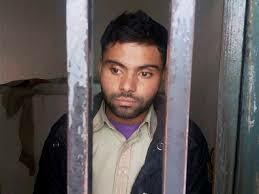 Islamabad:A Pakistani fan of Indian cricketer Virat Kohli has been sentenced to a rigorous punishment of watching Pakistani cricketer Misbah-ul-Haq’s painful slow innings in jail. Pronouncing the punishment on the teenager, Umar Draz, who hoisted Indian flag to cheer Kohli, the judge said there was need to force feed patriotism into the accused. Draz through his counsel Imtiaz Rashid Qureshi has since pleaded for mercy, and offered that his client would go for hard labour in jail, instead of watching Misbah innings. International rights group, Amnesty International has described the court verdict as an “act of torture revenge”. “It has come to our notice, that watching Misbah innings is a torture even for Pakistani fans. Forcing a fan of Virat Kohli to watch Misbah innings is a sadistic form of punishment, which can only be described as revenge torture,” said David Griffiths, South Asia Research Director at Amnesty International in a statement said. The human rights watch dog has asked appealed Pakistan’s Prime Minister Mamnoon Hussain to comply with its human rights obligations, and take steps to stop Draz from being subjected to revenge torture in custody.